So much smiling your cheeks will hurt. 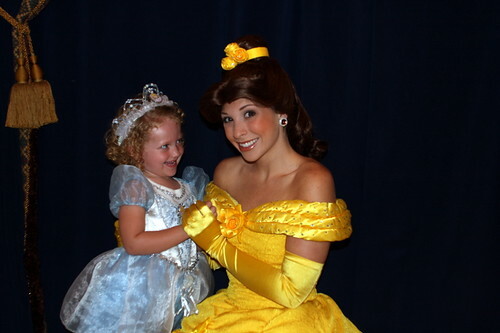 We took our kid to Disneyworld to hang out with princesses. the moosh had that smile on her face a majority of our trip. It was magical. She had the undivided attenion of five people who love her most in this world. Plus princesses and white sandy beaches. THIS is my kid smiling with her spleen. Oh I’m so incredibly jealous! That looks like such a great time, and I love all things Disney. How great to have these memories with your family and the moosh! I’ve never seen such a precious spleen! awww, spleen smile for sure! I have to go die from cute now. There’s nothing like a little Disney magic. The moosh is waaaaaaay prettier than any of those princesses. Did anyone else notice Ariel’s rack? Seriously dude, it just looks painful. Fabulous. Memories for a lifetime, there, sore spleen and all! Oh she had so much fun! midwest mommys last blog post..When it rains, it effing pours! Oh my heck. Death from cuteness over here. You should have a warning label on this post. That smile is totally contagious. Wow! Those are quite the smiles! 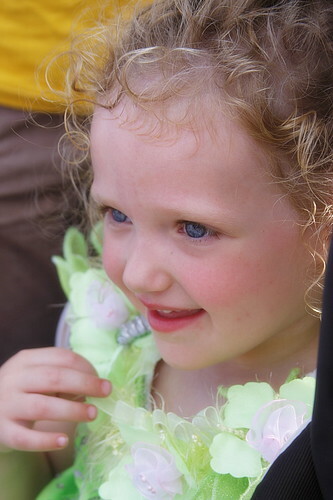 What a beautiful little girl you have! 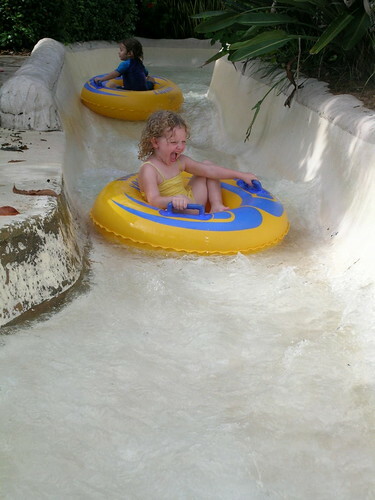 Looks like she had a BLAST! Florida Ariel is hotter than Cali Ariel but I think Cali Cindy takes Florida. the smile though is nationwide. 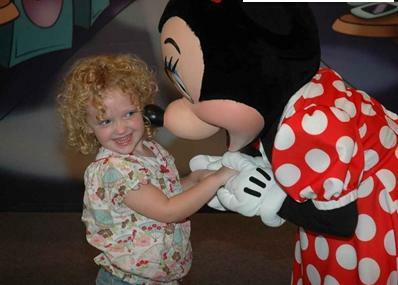 We just took our little Savannah this summer to Disneyland. I seriously started to cry when I saw how excited she got. 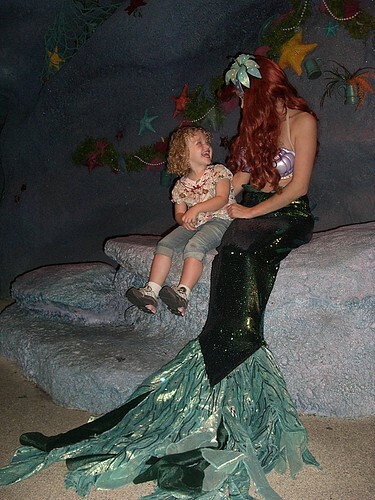 Best Mommy moments…are made in Disney! Do you think Disney is more a girl thing than a boy thing? You said it beautifully and treasure the spleen smiles they grow fast! Aw! I totally love that smile. It is my favorite by a mile. She’s stinkin adorable! The waterpark picture and the one with Belle are just perfect! Skyes last blog post..Count your many blessings. What a DARLING little girl! Loving the curly hair…from one “curly” to another! Your moosh is gorgeous gorgeous (which you already know). But the smiles? Ah, so wonderful. My favorite photo from your trip so far is the hotel bed jumping one from a few days ago. Priceless. Something great happened to us while you were gone: we had a fantastic 4 day reunion with old friends and got to meet all of their children for the first time. My Son immediately adored a 6 yr old French Canadian girl who immediately adored him back, and I got to spend several days watching them run at top speed down 100 foot straightaways in a converted barn (house) where 18 of us were staying — laughing, and speaking hardly a word of each other’s languages, the two of them got along famously. It was delicious. I’m so glad you had such a glorious time with your family. Sending hugs. 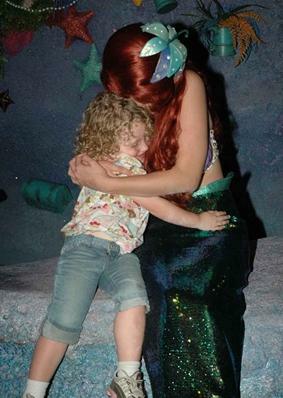 Oh my god, when I saw the picture of her getting a hug from Ariel I almost cried for my Anna. I’m afraid my girls’ heads would explode with the excitement of it all. Great pictures and fantastic spleen smiling. Awesome Awesome Awesome. I love seeing her smile! And she’s really starting to look like a little girl instead of a toddler! Those pictures are so adorable. She looks like she had an amazing time! And she is just as pretty as her Mommy. Renée aka Mekhismoms last blog post..It’s A Launch! She is too freakin’ adorable. How did she get to see all the princesses? What a doll. Disney will definitely do that to you. Awesome! So glad it was everything you hoped it would be. That’s SO like Disney! Those might be the happiest preschooler photos I have seen since the one of my daughter feeding her new baby brother a bottle (sorry, my kid still gets priority). Awesome photos Casey. What a wonderful trip! Its so nice to see a happy child. Mine hasn’t smiled with his mouth (let alone spleen) since he hit 2 years old! She is so very precious. That is the biggest smile! I bet the week after was such a let down from all that crazy excitement! One of these days – we’re all going to take her cue and smile with our spleens like that . . .
she makes me smile too, I can NOT WAIT to see my kids smile like this…going for christmas this year!!!! 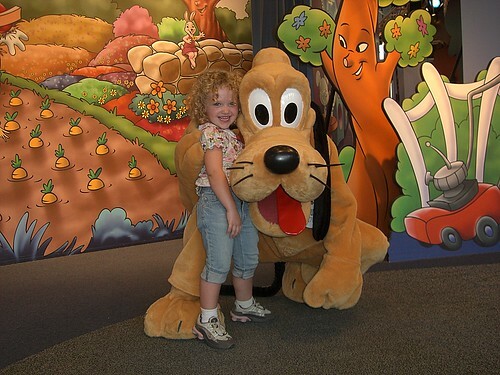 My girls had that exact smle at Disney. The place is magical indeed! BTW – your Cinderella was WAY prettier than ours!!! I’m diggin’ the moosh’s little Nike Shox sneaks! Casey, I can’t believe they let moosh out of the park without a movie deal. Dakota Fanning move over. You’re old now anyways. Your daughter is absolutely gorgeous. But then, she must get it from her Mommy. That gave me a MUCH needed smile today, casey. I love the one where Belle is looking at the camera and Moosh at Belle. Hilarious. Just seeing all of her smiles made ME smile! 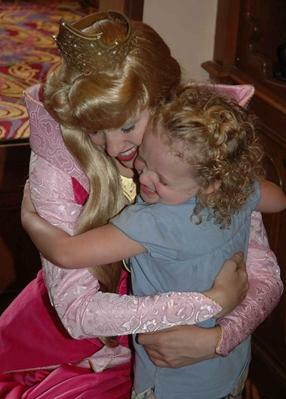 I would give anything to be able to take Kaitlyn to Disneyland to meet princesses, unless she would be too shy to actually talk to them. Um ,yeah. If this doesn’t put a smile on someone’s face? THEN THEY HAVE NO SOUL. 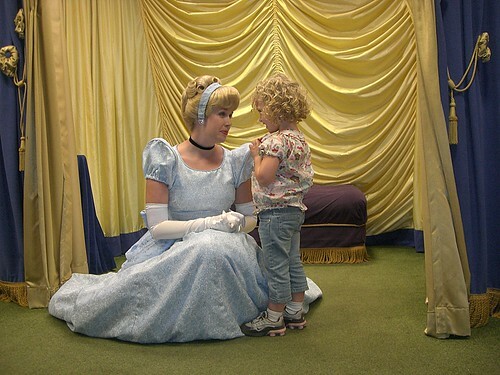 Can’t wait to get my own pictures of her with the “REAL” cinderealla.